Israel Aerospace Industries (IAI) has entered an agreement with FIMI, the largest Private Equity fund in Israel (FIMI), which will find the latter investing $40 million in ImageSat International (ISI) in exchange for 53.6 percent of ISI's share equity. The agreement further stipulates that ISI shall buy the new observation satellite 'EROS C' from IAI and, on the transaction closing date, shall pay IAI $35 million to cover part of the outstanding shareholder's loan. The transaction will allot preferred stock to FIMI with a distribution agreement between IAI and FIMI. The deal is pending approval by the Israeli Ministry of Defense and the Antitrust Authority. The EROS C Satellite is a high resolution observation satellite. Based on IAI's OPTSAT 3000, this satellite is part of a broader line of observation satellites that have been developed and manufactured by IAI and are successfully used in space. EROS C is highly maneuverable and diversified in terms of applications, among other features, thanks to the craft's low weight. These benefits will be leveraged for the benefit of ISI customers worldwide in a broad range of services, including collection of accurate intelligence at minimum time, above politically and military-challenging regions and use of advanced analytical tools. 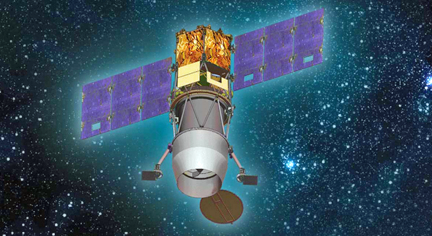 Artistic rendition of the EROS-C satellite. ISI is a GEOINT company that provides space intelligence to armies, governments and commercial customers with a combination of advanced observation tools, analysts with rich operational experience and development of machine learning and artificial intelligence capabilities. These services allow ISI customer to obtain visual intelligence and up-to-date snapshot of the target area. ISI also offers continuous monitoring services for vessels at sea, including movement prediction and speed detection capabilities. More recently it has expanded into economic intelligence services, including monitoring of oil reserves in storage sites, tracking the supply chains of manufacturing plants, and more. Joseph Weiss, IAI's President and CEO, stated that FIMI's investment in ISI reflects IAI's strategy to create collaborations with business and financial entities, Spin-off technologies to the civilian sector, and prioritize investments for innovation and technological entrepreneurship. Under the deal, IAI remains a material shareholder of ISI and is expected to benefit also from the incremental value expected to surface as a result of the investment. IAI continually reviews opportunities for civilian applications of military technologies through collaboration with synergetic organizations. Gillon Beck, Senior Partner at FIMI, added that observation satellites market — in which ISI is active — and the communication satellites market — in which the company is present through investments in companies such as Gilat and Orbit — offer significant growth potential. ISI has interesting growth engines such as data and algorithm-based products. The collaboration between IAI and FIMI will help ISI soar to new heights in space.